Brisbane Airport is a great location to explore, with a nice list of hotels. There are 9 located less than 5 kilometres from the city centre. You won't be too far away from the main areas at the Novotel Brisbane Airport and Comfort Inn & Suites Northgate Airport. Ascot is a popular surburb that is just 6 kilometres from the middle of the city. With 5 places to select from, you'll definitely find somewhere to stay. Take a look at the amenities at Domain Serviced Apartments and Quest Ascot. You might prefer to find a place in Hamilton, which is 7 kilometres from the middle of it all. There are 17 hotels available here. 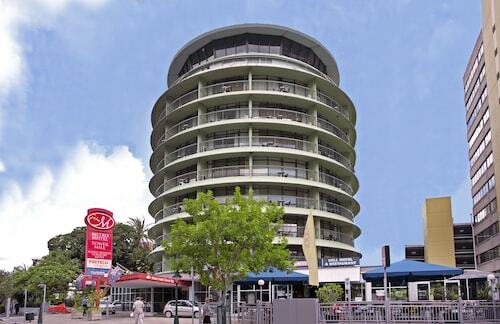 Brisbane Riverview Hotel and Pegasus Motor Inn and Serviced Apartments are all found here. Show the other players how it's done with a round of golf at Nudgee Golf Club. If you're thinking about finding a place nearby, look into Novena Palms Motel. It's the only option available here, so make sure you hurry! If you find yourself searching for more options in Brisbane Airport, consider the Tangalooma Island Resort and the Emporium Hotel. They are located 35 kilometres and 10 kilometres away from the center. Some more alternatives are the Spicers Balfour Hotel, 11 kilometres away, and the Brisbane Marriott Hotel, 11 kilometres. Don't be a Wally and miss out on the other fascinating attractions in Queensland. Queensland is blessed with beaches, rainforest and tablelands, along with commonly visited Queensland tourist attractions like the craft workshops. Popular activities in this part of Australia include hiking. 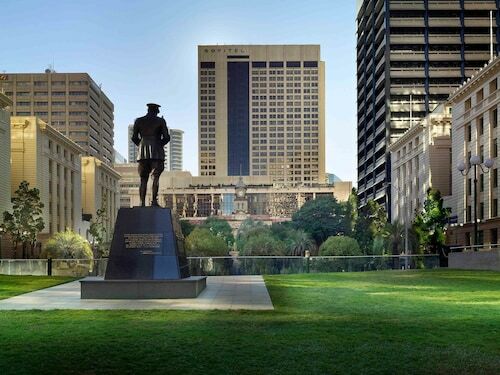 If you want to experience some nearby localities, consider Norman Park and Brisbane. Head 11 kilometres to the southwest from Brisbane Airport and you'll discover Norman Park. Alternatively, Brisbane is 12 kilometres to the southwest. 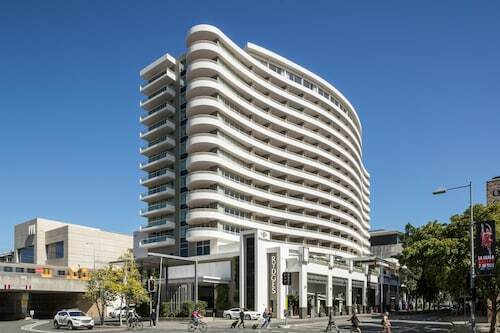 Norman Park hotels include the Quest River Park Central and Hilton Brisbane. The Stamford Plaza Brisbane and Quest on Story Bridge are some of the better ones in Brisbane. Plan on flying in and out of Brisbane Airport? Your best bet is Brisbane International Airport, 0.9 kilometres from Brisbane Airport's centre. 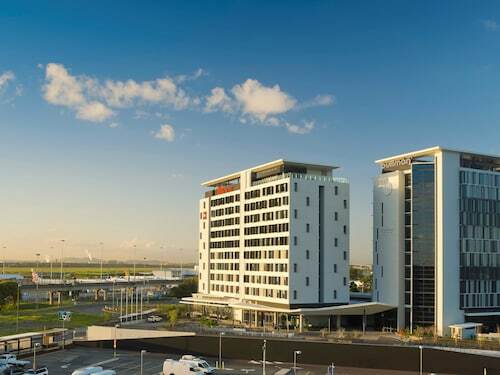 Visitors can stay close by at the Ibis Budget Brisbane Airport. How Much is a Hotel Room in Brisbane Airport? 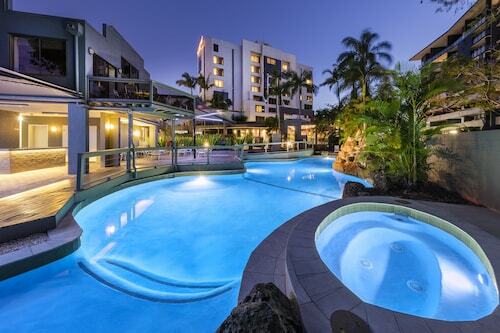 Hotels in Brisbane Airport start at AU$199 per night. Prices and availability subject to change. Additional terms may apply.